construction activities such as utility installation, culvert replacements, ditch maintenance, and bridge work. 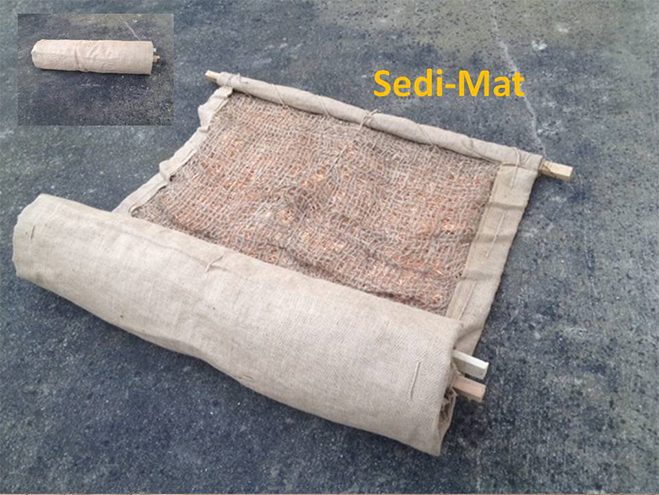 Sediment disturbed by construction is carried along the streambed by the current until it encounters Sedimat™. seedbed for germination and growth of the seed mix. followed immediately by backfilling. At the eighth site the disturbance was extensive hand digging by shovel. 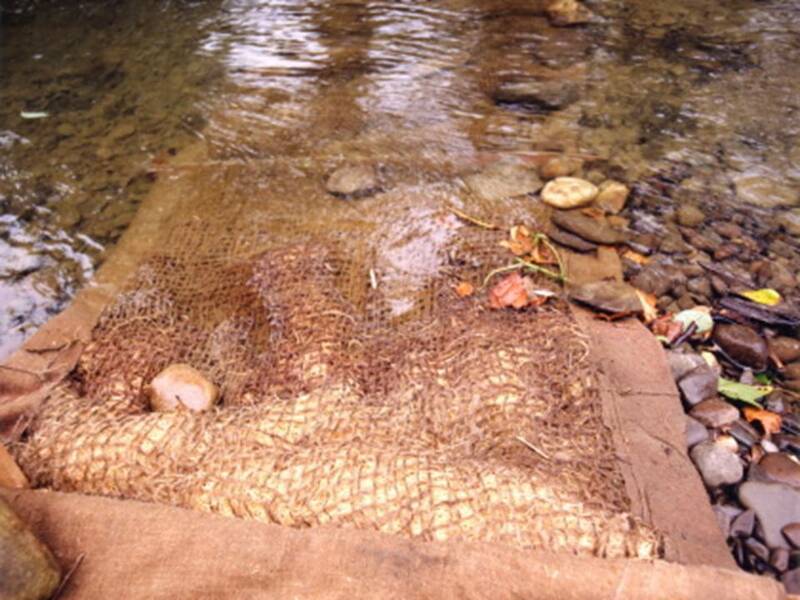 construction, the average percent of sediment fines in the streambed just downstream of the work site was 12.2%. trapped about 80% of the disturbed sediment and prevented or minimized adverse impact to trout reproduction. nor did they raise water levels and thus flood the work area.